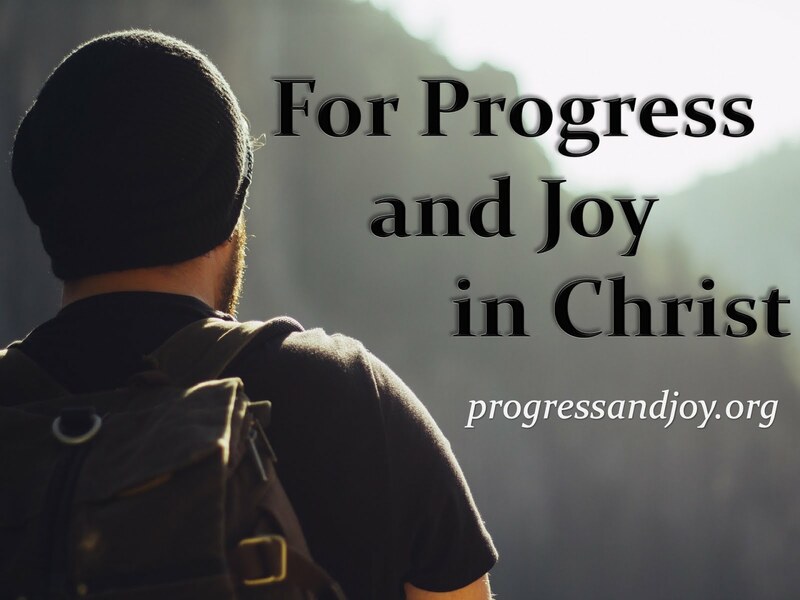 Progress and Joy: Matthew 9:18-34 Do You Believe? Matthew 9:18-34 Do You Believe? Have you ever found yourself in a desperate situation? What do you do in those times when you have sunk to your lowest point and have nothing else to lose? Do you lay down and sulk, or do you fight and scratch? For some, the desperate, seemingly hopeless situations are the ones that drive them to the Lord Jesus Christ. Today, we will consider a narrative that tells of a woman who has been plagued for years by a certain ailment, but in the end she finds restoration and joy in the power of Jesus Christ. We also will read about a young girl who was raised from the dead, blind men who were healed, and a demon-possessed man who was freed. These hopeless situations find hope in the Lord, and you can find hope as well, if you approach Him by faith. This is a fantastic story bookended by the beginning and end of the story of the girl raised from the dead. This woman who comes to Jesus has been continually bleeding for twelve years. Obviously the problem is no threat to her life, but with this condition she is an outcast. She would have been considered unclean by the community. She would not have been able to worship at the Temple, in the synagogues, nor had relationships with any friends or family. Because of this, she approaches Jesus from behind. This is a daring move to approach someone, especially Jesus. She went for the hem of His garment, maybe the tassels that would have been hanging from His prayer shawl. For some reason, the woman thinks that if she could touch the hem of His garment she would be healed. The grammar tells us that’s what she continually told herself as she approached the Master. Maybe it was an act of humility. Maybe she thought it would be out of the question to grab Jesus’ hand or something of the like, but if she just touched His garment it would be enough. Or possibly she considered the act of grabbing His garment as a sign of a request for help. Either way, she was healed when she touched the garment, but Jesus makes clear that it was her faith that accessed the mercy that was provided. That she was made “well” or was “healed” is more literally the word “saved.” Jesus told the woman that her faith had saved her. She was delivered from her present condition, and, possibly, we can hear a hint that she was saved from her sins. She could now be cheerful. What is so important about this story? First of all, notice the irony. Jesus is on His way to a girl’s dead body and is met on the way be a woman who has a flow of blood. Both of these could make Jesus unclean, but He is not concerned with external laws of cleanliness. He is concerned about the people. So, He does not consider Himself, but others. Remember, He is the One who said that He had come not to be served, but to serve and give His life as a ransom for many. Second, Jesus was on a mission to raise the girl from the dead. One request had already been made, yet He takes the time to stop the parade that was forming in the street in order to speak to this woman. Not only would this have been viewed as inappropriate for the situation, but the crowd would have found it inappropriate for Jesus to speak to a woman. Yet, Jesus is not concerned with what is socially appropriate. Lastly, “This woman lived in a perpetual state of impurity, which resulted in her poverty, isolation, and suffering” (Burge, 44). Yet, we see that Jesus is not a respecter of persons. He is a respecter of faith. Faith is what He is looking for and is what He responds to. At the beginning of our text this morning we were told that Jesus was approached by a ruler while He was still teaching. Visualize this scene. A ruler comes and bows down to Jesus, the Lord. This man was probably the ruler of a synagogue. He had to truly humble himself to go and request help from Jesus. He is desperate because his daughter had become greatly ill and had died, but He knows Jesus’ reputation. He says, “. . . lay Your hand on her and she will live.” The ruler’s faith is as great as desperation. He believes that Jesus can raise the dead to life! Notice that the woman with the hemorrhage had bled for twelve years. This girl was about that age. Jesus’ response is immediate. He gets up and follows the man. When Jesus finally arrived at the man’s house, after His encounter with the bleeding woman, He sees flute players and wailers. All Jews were required to hire at least two flute players and one wailing woman. Jesus is actually able to get the noisy crowd to leave the house. “Put outside” reflects a word that can literally mean “throw out.” Apparently Jesus and the ruler throw the people out of the house. Matthew gives us few details, but sticks to the root of what happened. “. . . He went in and took her by the hand, and the girl arose.” Of course, this news spread throughout all the land in a matter of moments. Jesus rarely finds the time to rest. He is teaching and is interrupted by a man who wants his daughter brought back to life. He is on His way to that house and is interrupted by a woman who wants to be healed from an issue of blood. As soon as both are restored, two blind men follow Him seeking another miracle. They want to be healed of their blindness. Jesus apparently ignores their cries, but they follow Him into a house. Jesus has one question for them, “Do you believe that I am able to do this?” They reply affirmatively and respectfully. If Jesus can raise the dead, He can surely restore sight! As Jesus touches their eyes with His healing hands, He once again emphasizes faith. He heals them in response to their faith. Isaiah predicted that the Messiah would have such a ministry. He said in 35:5-6, “Then the eyes of the blind shall be opened, and the ears of the deaf shall be unstopped. Then the lame shall leap like a deer, and the tongue of the dumb sing. For waters shall burst forth in the wilderness, and streams in the desert.” Their eyes were opened, but Jesus commands them to tell no one. Possibly Jesus does not want to gain a false following. He did not want followers who were only there to see a spectacle or only there for physical healing. The two are disobedient to the word of the Lord, and they go spread the news all over that country. Once again Jesus is faced with another issue that demands His attention. As He leaves that house He is confronted by a group who bring to Him a mute and demon-possessed man. This miracle will mark the end of this section in Matthew’s Gospel account. He has shown us the great wonder-working power of the Son of God in sweeping fashion. Jesus has the authority and power to cast out demons, command the storms, heal every type of illness, and even raise the dead to life. In this last paragraph, we are not directed toward the details of the exorcism, but to the crowd’s reaction. There is a foreshadowing here of things to come. The crowd says, “It was never seen like this in Israel!” Yet, the Pharisees say, “He casts out demons by the ruler of the demons.” Matthew gives us no explanation, just the facts. We are left with the two options of how we will respond. Will we react with derision or with delight in the things of God? 1) Jesus does not allow Himself to be constrained by tradition or social standards. What does this teach us? First, none of us are too far from Him. He will touch and save any of us. He is no respecter of persons. He has come to seek and save the lost. He did not come to call the righteous (seemingly) to repentance, but sinners. He did not come to be served, but to serve and lay down His life for us. Second, we should not allow ourselves to be limited in our scope of ministry. How dare we discriminate against certain peoples! How dare we show favoritism to one and not another! Are we above our Master? He humbled Himself to do the work of the ministry, Gospel ministry, Kingdom ministry, and we must do the same. No servant is greater than his master. 2) We are called to follow our Master, to pick up our cross and follow Him. Therefore, we must act immediately when we are confronted with needs, even when we must be inconvenienced. As Americans, our goal every day is to find convenience. Convenience in-and-of-itself is not a bad thing, but the ferocious pursuit of it can be sinful. We are to consider others better than ourselves. Therefore, if we see a need, even if it may hassle us, we must act in response. 3) There is nothing too great for the Lord Jesus to overcome. An application to almost any sermon is found in two words: Trust Christ. Why would you not trust the one who heals diseases and conditions, raises the dead back to life, restores strength from disability, and is sovereign over the works of the adversary? I will trust Him, every moment, and I hope you will too.